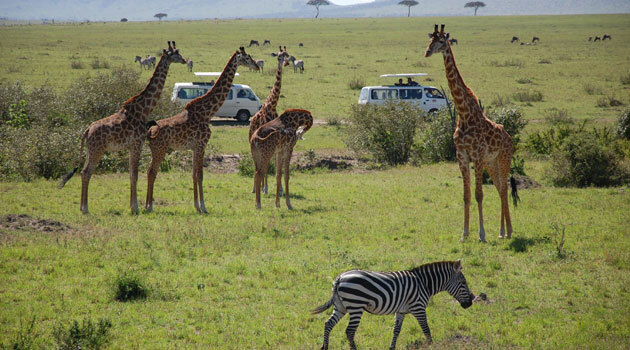 NAIROBI, Kenya, Jan 23 – Kenya is banking on film locations as one of the incentives to increase the number of tourists from India which currently stands at about 125,000 visitors per year. Kenya Tourism Board (KTB) says the increasing interest among the Indian filmmakers for shooting locations in the country will enhance top of mind awareness of the destination among the Asian community. “We have identified this growing interest and this has reinforced our strategy to increase the volumes of visitors from India. With filming, we are certain of Kenya being a household name for the Bollyhood movie makers in India,” says KTB’s Director of Marketing Jacinta Nzioka at the beginning of Outbound Travel Mart (OTM) exhibitions, in Mumbai. The exhibition will be a great avenue to meet and engage such enthusiasts and interested partners. KTB is one of 1,000 exhibitors from about 50 countries across the globe exhibiting at the three-day long event held at Bombay exhibition center. Nzioka disclosed that KTB will this year have a Bollywood production shot in Kenya as one of the key deliverables. Close to 80 of international films shot in the country in the past have helped to increase positive visibility of the country. The India Film industry have previously revealed that new film destinations experience on average of 45 percent increase in arrivals when a top Bollywood film with renown actors is shot in destinations. “We have some of the best filming locations in the world and the weather that can be easily predicted adds to our potential as a filming destination and that is why India is our market to go to,” says Nzioka. Indian film industry better known as Bollywood is one of the largest in the world raking in billions of dollars on revenue with massive audiences. Towards the end of the month, KTB will be hosting Filmfare, one of the most famous Bollywood magazine for a shoot on diverse tourism products and experiences in the country presenting as part of campaigns to use filmmakers to showcase Kenya as a filming destination. Nzioka said other initiatives and investments to woo the Indian market include leveraging on cricket, adventure, safari experiences activated through consumer activation programs in partnership with the private players. The Indian travel market has, in the last two years, experienced a slow-down occasioned by fiscal changes effected by the Indian government that negatively impacted on consumer spending. Delhi, Mumbai or Ahmadabad are key source areas for visitors to Kenya with Kenya Airways, flights from Mumbai to Nairobi being a key contributor.